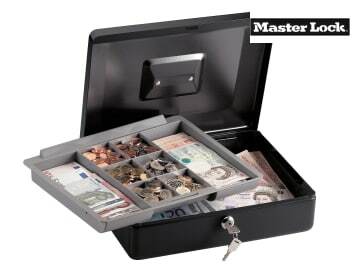 This Master Lock medium-sized Cash Box has a convenient fold-away handle and removable tray for ease of use. 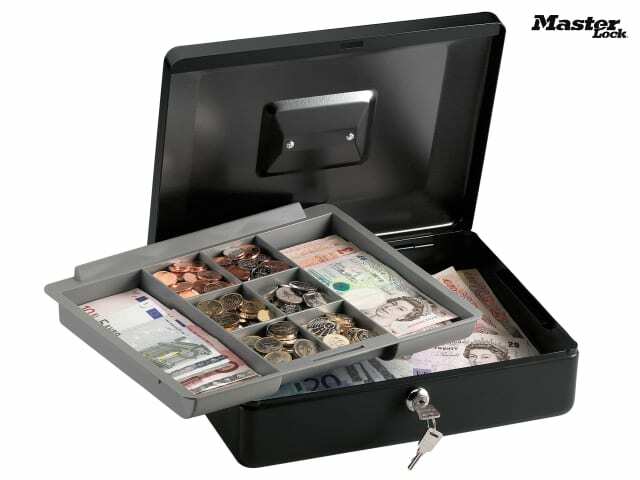 It provides versatile storage and organisation for both home and business. 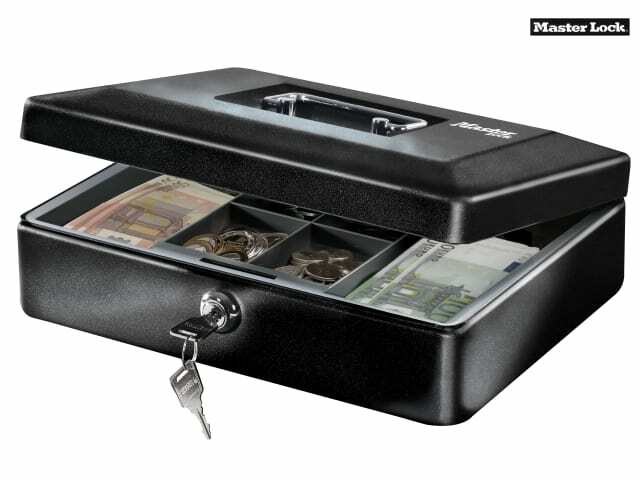 Its steel construction provides added security. 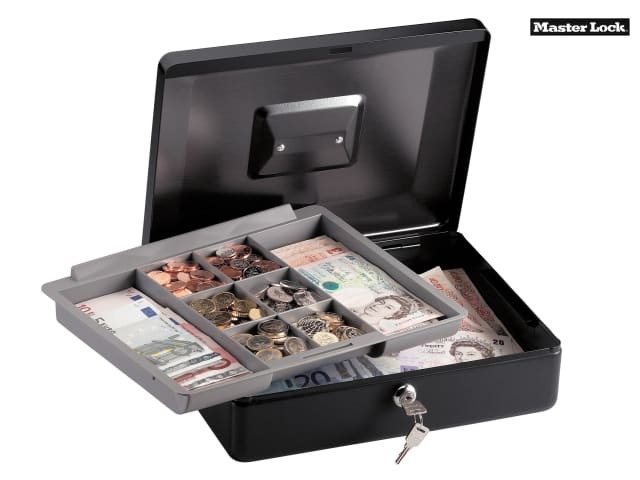 Dimensions (HxWxD): External: 9.3 x 30 x 23.5cm, Internal: 8.7 x 29.7 x 22.9cm.